Heparin drip practice calculation problems for nurses. These Heparin drip practice problems were designed to help you better understand how to titrate a Heparin drip based on aPTT. You will be required to solve problems that require you to understand: unit/kg/hr, unit/hr, and mL/hr. Before taking the quiz, don’t forget to watch the free lecture on how to solve heparin drip calculations. 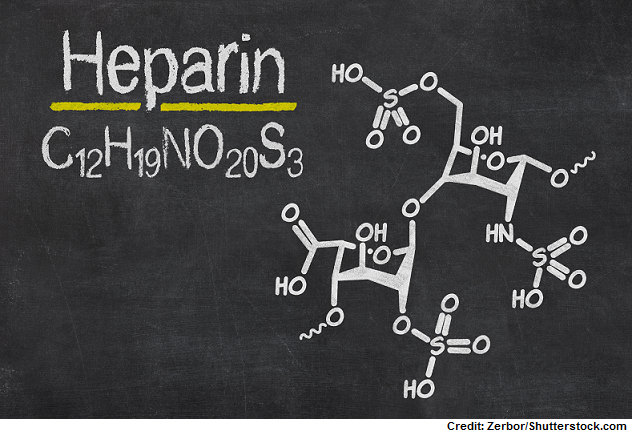 This quiz will test your knowledge on Heparin drip calculations (units/hr, units/kg/hr, mL/hr). 1. The MD orders your patient to start an IV Heparin drip at 18 units/kg/hr and to administer a loading bolus dose of 30 units/kg IV before initiation of the drip. You’re supplied with a Heparin bag that reads 25,000 units/500 mL. The patient weighs 172 lbs. What is the flow rate you will set the IV pump at (mL/hr) and the amount of units for the IV bolus? 2. The MD orders your patient to start an IV Heparin drip at 16 units/kg/hr and to administer a loading bolus dose of 60 units/kg IV before initiation of the drip. You’re supplied with a Heparin bag that reads 12,500 units/250 mL. The patient weighs 198 lbs. What is the flow rate you will set the IV pump at (mL/hr)? 3. Your patient has a Heparin drip running at 36 mL/hr. The Heparin bag reads 12,500 units/250 mL. How many units per hour is the patient receiving? 4. Your patient has a Heparin drip running at 29 mL/hr. The Heparin bag reads 10,000 units/ 100 mL. How many units per hour is the patient receiving? 5. Your patient’s recent PTT is 45. According to protocol, you need to increase the Heparin drip by 2 units/kg/hr and administer 30 units/kg IV bolus. You will recheck the PTT in 6 hours. The patient is currently receiving a Heparin drip at 22 units/kg/hr from a bag that reads 25,000 units/250 mL. The patient weighs 129 lbs. How many units will the patient receive as a bolus, and how many units per kilogram per hour will the patient receive based on the new PTT result? 6. You increase your patient’s Heparin drip to 24 units/kg/hr. The Heparin bag reads 25,000 units/ 250 mL. What is the new flow rate (mL/hr)? The patient weights 129 lbs.